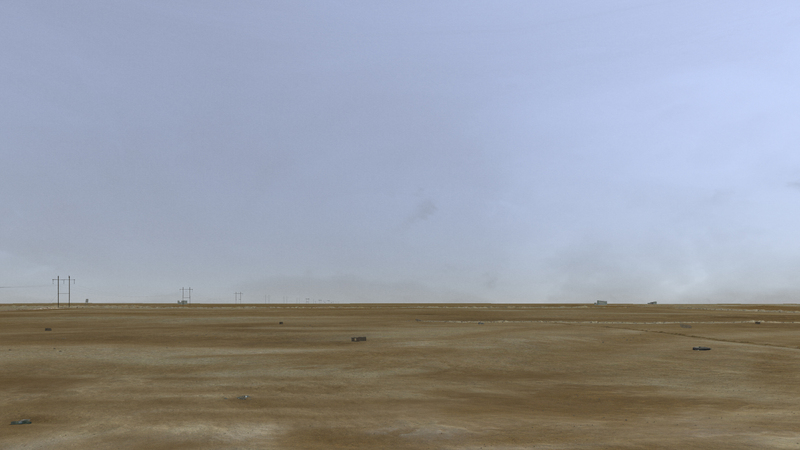 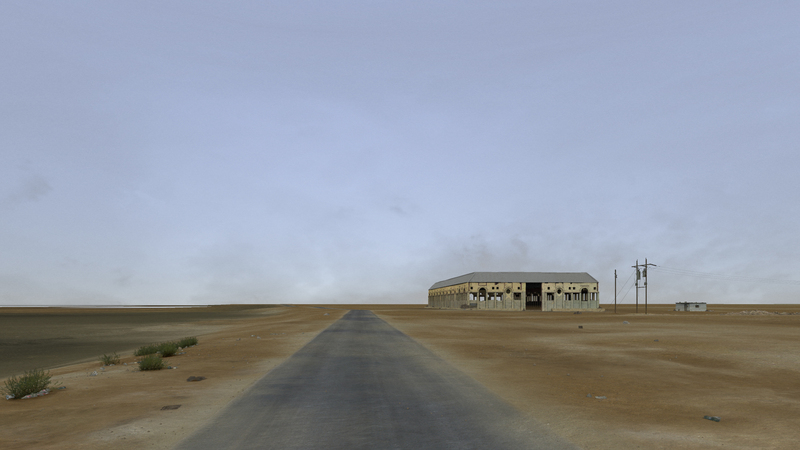 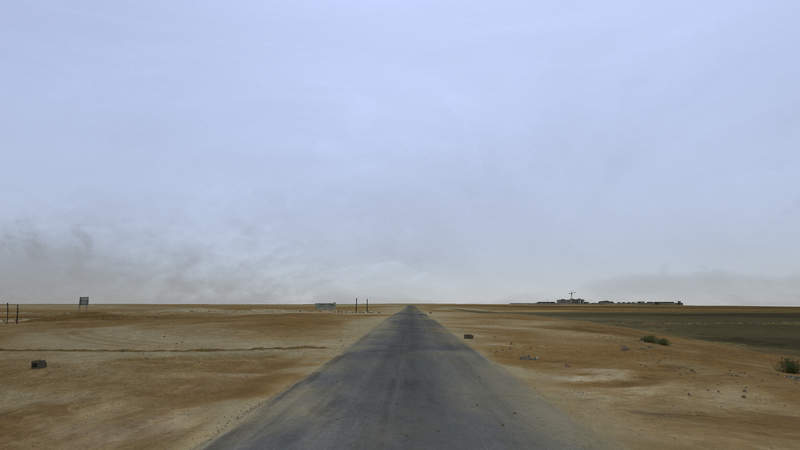 In Infinite Freedom Exercise (near Abadan, Iran) 2011, a virtual camera circles the dusty seaside landscape in southern Iran, recording a figure dressed in non-nationalized army fatigues. This actor performatively mimics the prescribed gestures of mortar release in an evolving sequence. 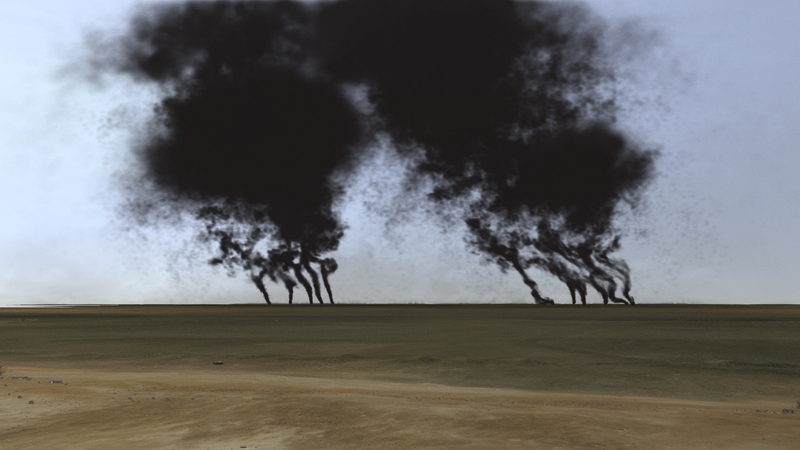 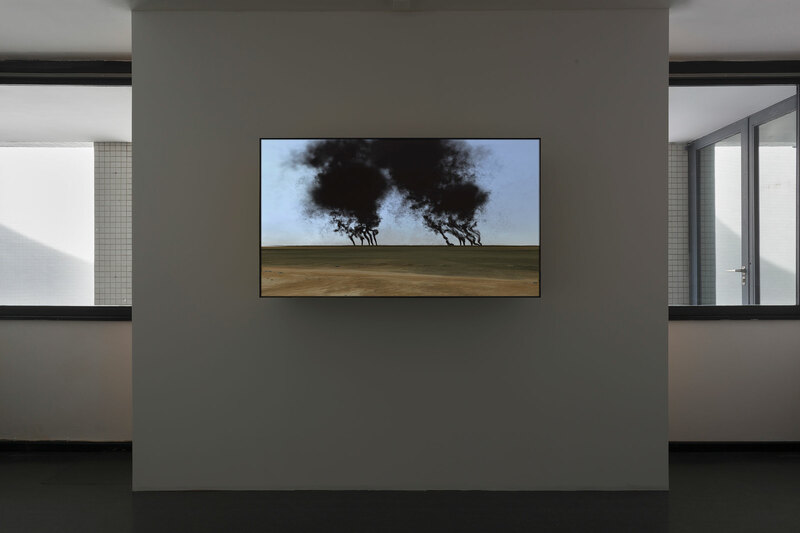 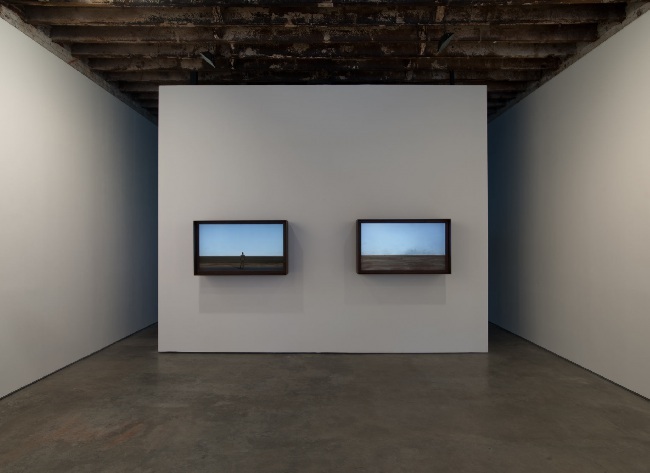 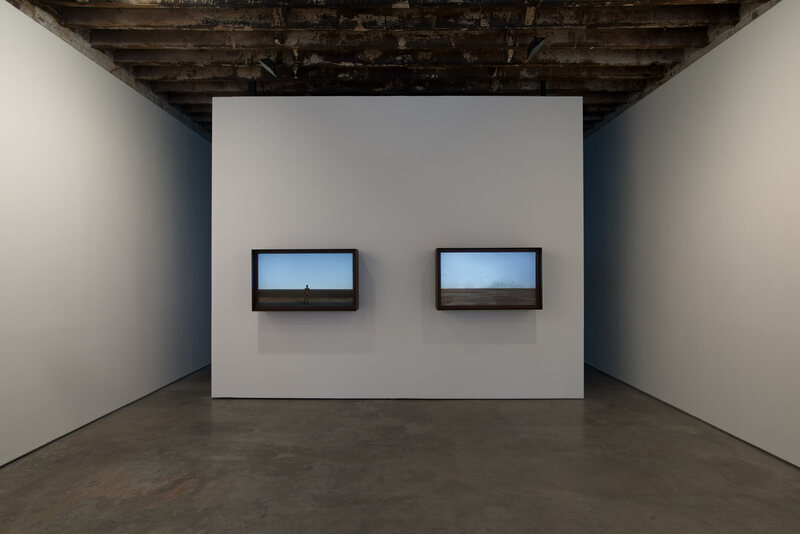 Burning Oil Fields joined the work in 2013 and represents these fires.